When we started to work with PDF files, we found that there was a large amount of knowledge you needed to know to make sense of the PDF world. PDF files are complex and work very differently from other file types. So we put together a whole series of free white papers to help developers, aimed at explaining the subject in general. I have also given several talks on the subject and there is one on Ripping your PDF files apart. We have recently been updating them and the new, updated (and still totally free!) 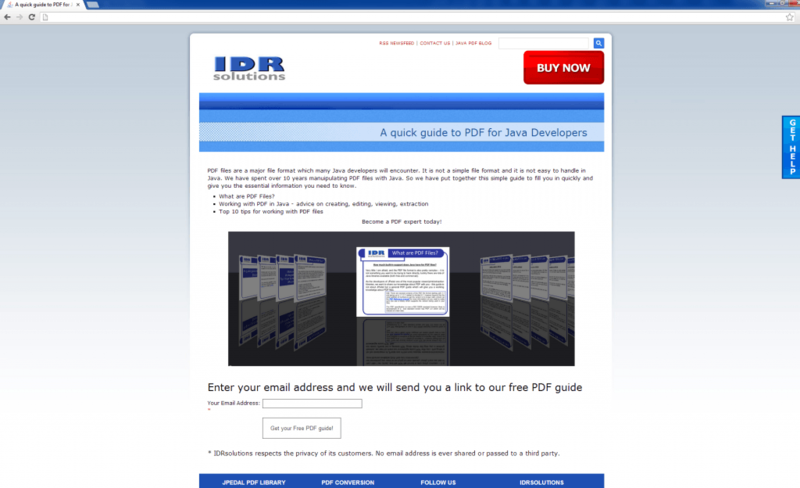 PDF guide for Java Developers is now available. We hope you will download it and find it useful. And if you have any suggestions or feel more could be added, please let us know. Feedback helps us to keep improving it and help others. We will be rolling out the updated white papers over the next few weeks and also asking for suggestions on new ones. So what would you like to see?